Hello, my name is Cynthia Chamberlain, DiplAc, DiplCH. I am a practicing Licensed Acupuncturist in Overland Park, treating infertility with Acupuncture and helping women increase their chances of getting pregnant by as much as 50%. I want to thank you for visiting our Overland Park acupuncture for fertility web page. 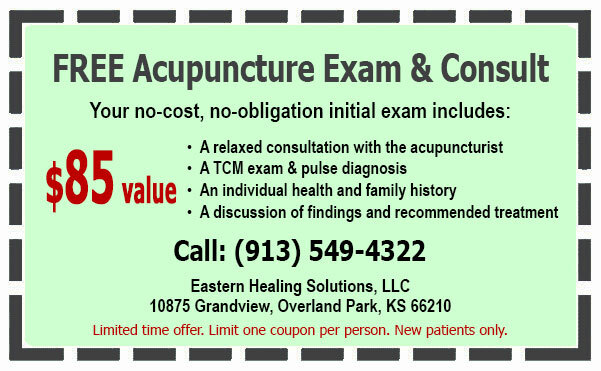 In return I would like to offer you a coupon for a FREE Initial Acupuncture Exam($85 value.) This coupon is good for one initial exam and limited to one coupon per person. If you, or a loved one is in need of my services, please print out the coupon and bring it on your first visit.